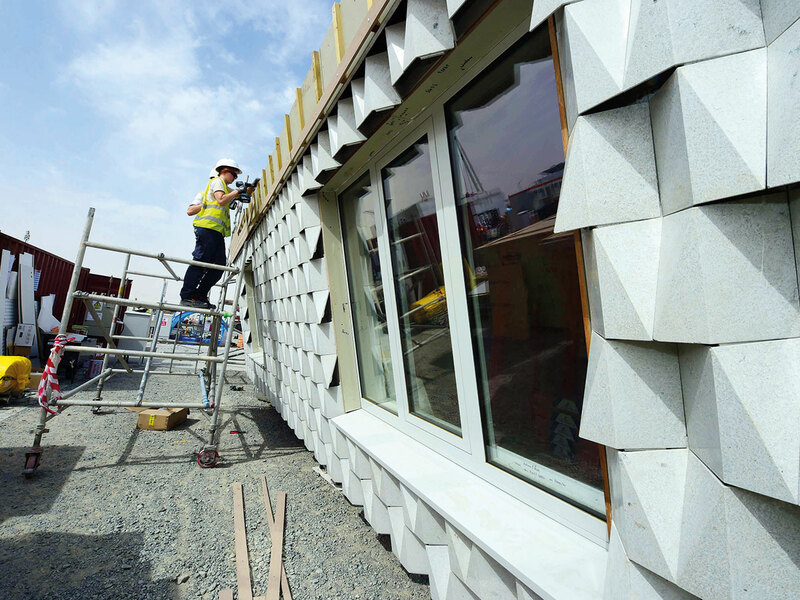 Dubai: In less than a week, 15 ‘houses of the future today’, complete with the latest innovative features for comfortable and sustainable living, will open for viewing to the public at the Mohammad Bin Rashid Solar Park. 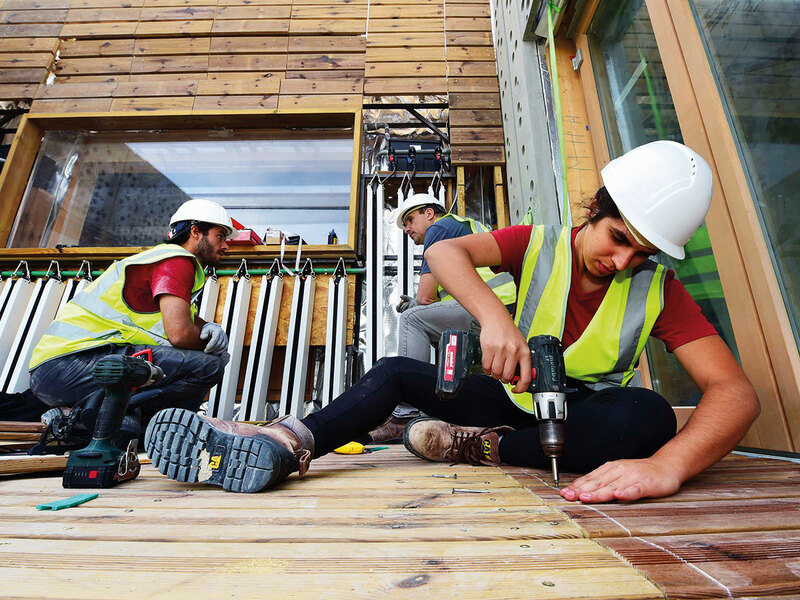 These prototype of “green” houses built by university students and professors from the UAE and around the world boast of innovative solutions to today’s challenges, specifically climate change, as part of the first Solar Decathlon in the Middle East (SDME). This international competition created by the US Department of Energy is being held in Dubai for the first time through the partnership of Dubai Supreme Council of Energy, Dubai Electricity and Water Authority (Dewa), and US Department of Energy. 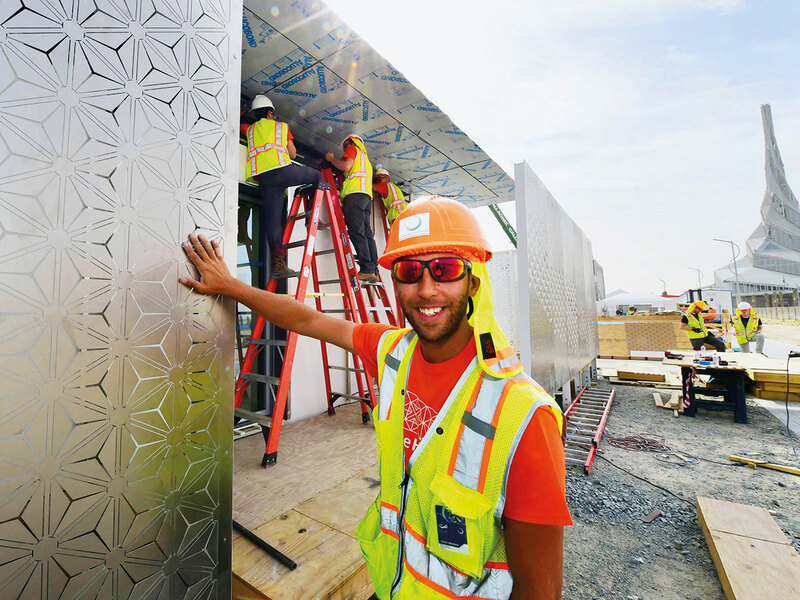 Taking shape at the world’s largest solar park in a single site over 60,000 square metres, the houses should be able to beat heat, dust and high humidity that the UAE experiences. They should be cost-effective and meet 10 criteria: Architecture; engineering and building; energy management; energy efficiency; comfort conditions; house functioning; sustainable transport; sustainability; communications, and innovation. The winning design team stands a chance to bring home Dh10 million. “They have to design, build and operate full functioning homes. These homes are designed to even act like they’re ordinary homes that enable people to do daily tasks. Students need to simulate that they’re really functioning while we examine them,” Sarah Al Zarouni, one of the SDME organisers, told Gulf News during a visit. “The students do everything from A to Z. 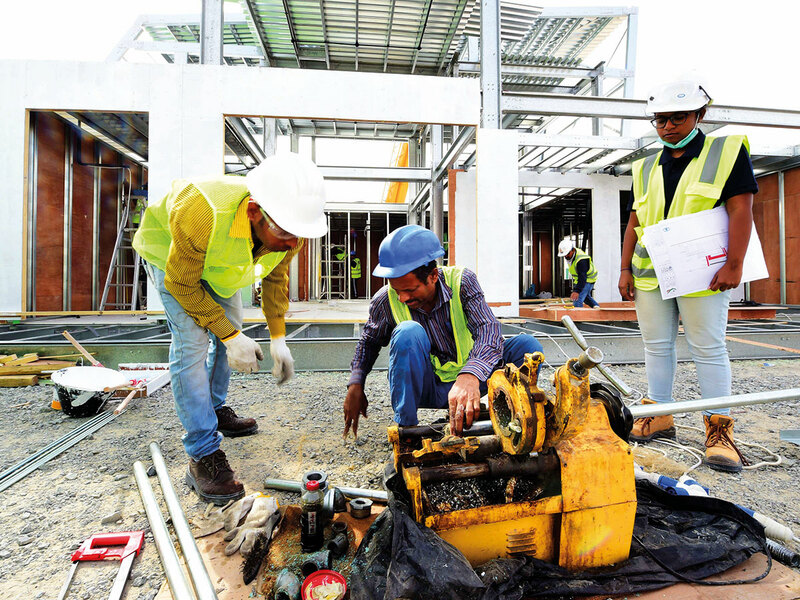 Around 80 per cent of the homes have been completed. They should be ready for viewing before November 14,” she added. Features: It uses aquaponics, solar panels integrated on its facade, and a bio-solar water filtration system that uses worms to treat greywater for irrigation, Kenza Chraibi, architect and team leader of the project, told Gulf News. The house is comparable to a living laboratory with concrete mashrabiyas, or oriel window or balcony enclosed with latticework typical of Arabian-inspired homes. 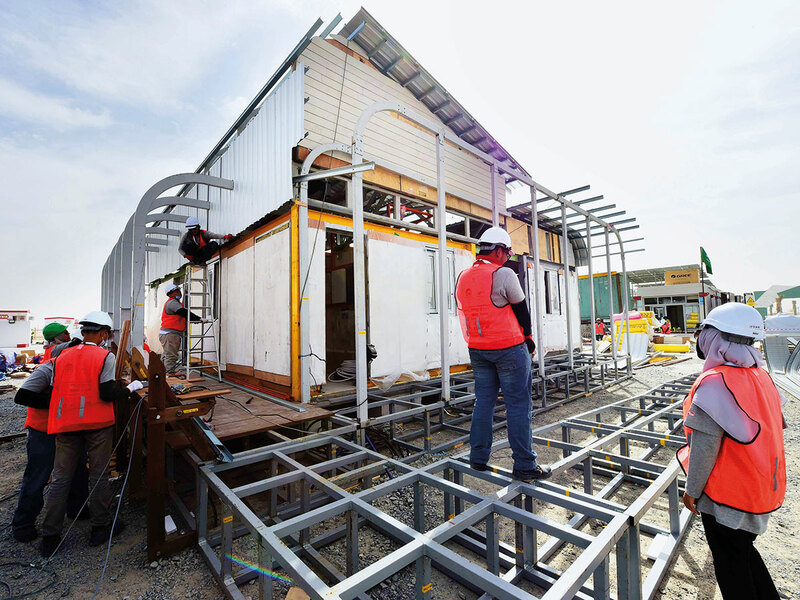 Features: It uses a plug-and-play concept where all the house’s components such as plumbing, electricals, roof, walls, among others, are pre-manufactured and pre-fabricated in cartridges for easy transport and assembly. It is surrounded by a mashrabiya made of steel giving the occupants privacy and shade at the same time. The house is adaptable with flexible spaces and can be put together in a matter of days by anyone, Bobby Vance (above), project manager, said. Features: It features a green wall and an atrium or shared space in front with minimum energy loss because the roof and facade are tilted 15 degrees so that the solar panels gain the maximum amount of energy and the south facade shadows itself, Jonathan Puck ten Hoope, project manager, said. Features: Mizan, which means ‘balance’ in Islam, has a passive cooling strategy using the ‘triple eyelid’ concept of a camel’s eye. It uses the mashrabiya that provides privacy screen and filtration device to cool the air on the ground. It also has blinds and double-glazed glass. 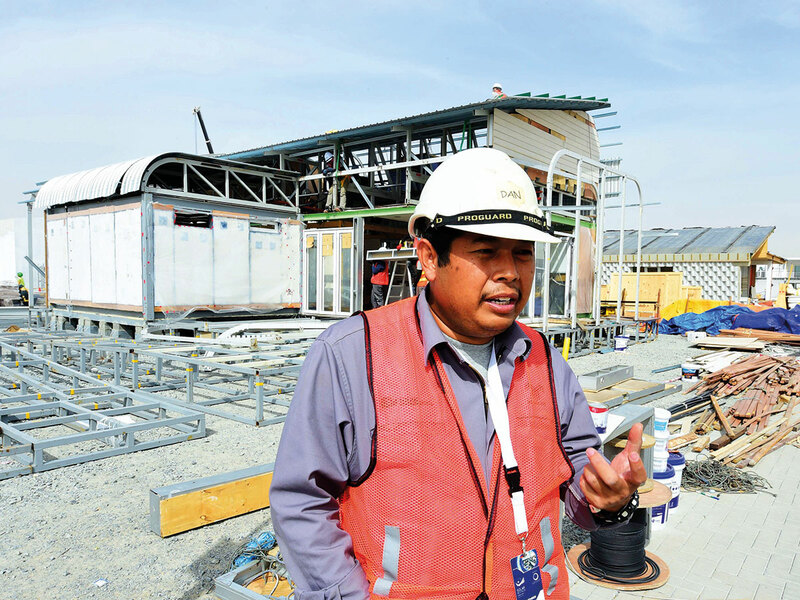 The curved roof “breaks” the wind to protect the house, Fadli Arabi (above), construction manager said. Features: ORA, which stands for Organic, Resilient, and Adaptable, uses a hybrid barjeel (wind tower), but instead of a vertical one, theirs is a horizontal one that provides passive cooling. A greywater system also irrigates the green wall.